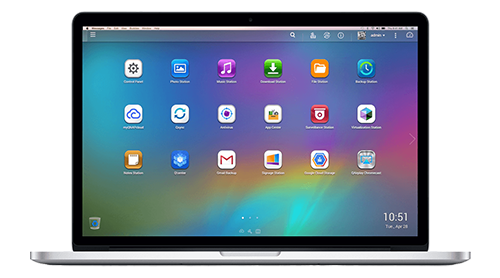 The intuitive, multi-window and multi-tasking QTS 4 GUI make it incredibly easy to manage your Turbo NAS, share files across different platforms, facilitate user account management, conduct virtualization applications, utilize its rich home applications, enjoy multimedia collections with more fun, and install a rich set of applications in the App Center on demand to expand your Turbo NAS experience. 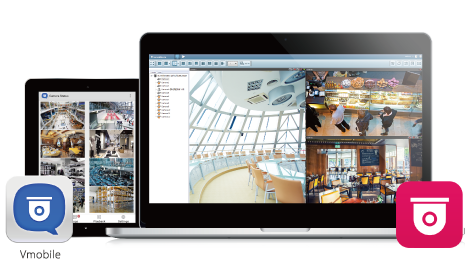 The revamped QVR Network Video Recording Surveillance System provides versatile features including Qdewarp, Region of Interest (ROI), Virtual Camera, View Layout Management, QSCM Lite Central Management App and much more. Browsers supported: Internet Explorer, Chrome, and Firefox. *If this is your first time using a QNAP Surveillance product, you need to download the Qmon surveillance app to access the Live View and Playback functions. You are asked to download active X control if this is your first time to experience QNAP's surveillance product. Note: Please contact us if you would like to view the administrator page. Create your own cinema quality movie experience at home! Coupled with the built-in XBMC media player, HD Station allows you to easily browse your movie collection and playback in full 1080p. In addition to videos you could also view all your photos and music on your big screen. Browsing the Internet and Youtube is also available for you to access straight from the remote control. Take a look at this short video and see what HD Station can do for you.